Hey Pot, get out much? I could go on for hours about the Pot’s (President Trump) racists comment for hours, but you and I don’t have that kind of time. Racism in any form is unacceptable. Freshman, Congresswoman, Iihan Omar, the first Somali American elected to the house. Her anti-semitic comments are not welcome. as she represents all Americans in her district. Speaker of the house, Nancy Pelosi called on her to apologize. House Majority Leader Steny Hover said Omar would not lose her assignments. Yesterday, Omar responded to Pot, accusing him of “trafficking” in hate and intolerance. 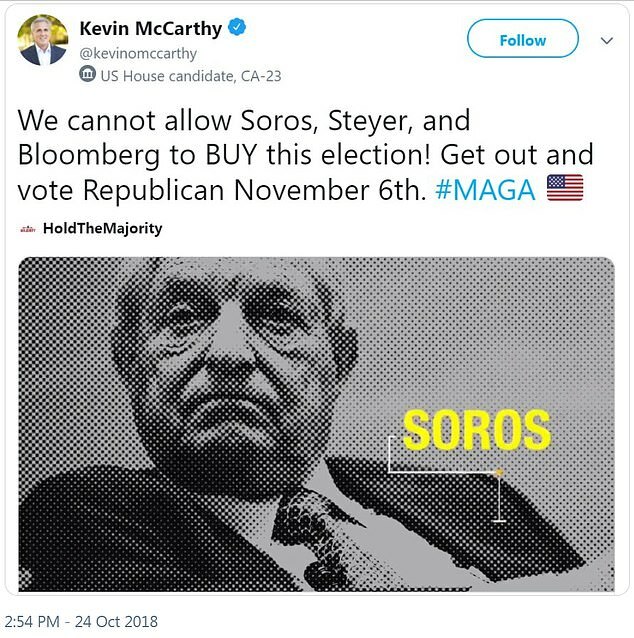 The tweet included a video featuring McCarthy discussing George Soros, Tom Steyer and former New York Mayor Michael Bloomberg, all Jewish men who are significant donors to Democratic campaigns and causes. McCarthy denied expressing anti-Semitic undertones in a now-deleted tweet he posted before last year’s midterms that warned of three prominent Jewish Democratic donors trying to “buy” the election. A teachable moment in blackface? Three months ago there was a national discussion regarding blackface in America. When NBC host Megyn Kelly said it was OK when she was growing up for white people to dress up as black characters. Kelly, spoke out against a controversy that erupted last year when Luann de Lesseps appeared to darken her face when she portrayed Diana Ross on “The Real Housewives of New York. Some of de Lesseps cast mates questioned her judgement. Kelly believed, “blackface” wasn’t racist. She believed it was okay as long as you were dressing up like a character. Kelly’s “blackface” comment was discussed on every news channel in America for nearly two weeks. The story was in every Newspaper in America including the Sacramento Bee. In a tweet, Megan Kelly said the paparazzi have been stationed outside her home. After apologizing, the National Broadcasting Company cancelled her show. December 2018, Megan was released from her contract. Elementary Students at the Victory Christian School learned about the works of David Livingstone a British missionary and explorer who worked in Africa in the late 1800’s The guest speaker, wanting to make her role more realistic put on an African garb and darkened her skin to resemble an African woman. This presentation was approved by the school Superintendent John Huffman. Many parents of this school were outraged. The Superintendent say’s he used poor judgement. Huffman also issued a statement to FOX40 News which broke the story that reads in part “I was wrong to allow the use of makeup no matter how innocent the intentions as it has offended some of my students and parents. I should have anticipated that this could be offensive, and I apologized to my students and parents asking to be forgiven for hurting them. It’s difficult to believe the Superintendent was “that” tone deaf. Good parents tell their children not to make fun of others. As it is often mean and cruel. This is reinforced by our schools and religious communities. Blackface is a form of theatrical make-up used predominantly by non-black performers. (whites). These images were often exaggerated and the performances often reinforced stereotypes. These stereotypes were not just limited to black people, other ethnicities were affected, Mexicans, Jews, Asians, Native Americans, the list is long. Megan Kelly, in defense of her statement ,mentioned people in “Whiteface”. No one challenged her. The parents of the Victory Children’s School will have the final say on the future of Superintendent Huffman. Not only is it 2019,this is Sacramento, California one of the most racially diverse cities in America, not Selma Alabama or Paris Texas. Midterm Madness courtesy of The Prez! Any day now, the Prez is going to send over FIVE THOUSAND TROOPS to protect our borders from thousands of menacing Latinos who are several hundred miles away. Did I mention most are walking? Which means they won’t be here until EASTER. Because not only are they coming they are coming with diseases. Some nice folks at Fox News says some members of the Caravan are bringing Small Pox others have Leprosy. Oh Wow! There is nothing like a little fear and racism to motivate some of the base. Particularly those who don’t realize Small Pox was eradicated in the 70’s. For some,on the right,this is GUARANTEED grade AA red meat. Good,possibly misguided people who will vote because while they don’t know what Leprosy is,they know they don’t want it. Meanwhile at the border. It will be, sports, crushing boredom, videos and endless Uno games until these evil people appear at our borders. I forgot to mention there are middle easterners that he is convinced who are hidden in the caravan, who are hell bent to blow up something. As we wait. The Prez wants to change the fourteenth amendment. To prevent those born on our pristine soil from automatically becoming citizens. This will appeal to his limited base. Who believe Immigrants ( code word Mexicans) is the problem with this country. They don’t speak American and come here to have babies to get on welfare! Today, he will tell his base he will get it done by Executive order. Which is completely false. Like his proposed NEW STYLE tax cut for the middle class, both will evaporate after next week’s mid terms. Finally, in a week where Donald Trump wants to convince his base he’s not a racist. Can’t make this stuff up. Fake news, fake news, fake news. The story of Zhalisa Clarke — a black woman who was minding her own business at a Raley’s in Citrus Heights when cashier accused her of shoplifting and called the police — didn’t make national news. It could have. In fact, it should have. Like Rashon Nelson and Donte Robinson, the black men who, in April, went to a Starbucks for a business meeting and soon found themselves being handcuffed by Philadelphia police, Clarke went to Raley’s for the most innocuous of reasons: to go grocery shopping. 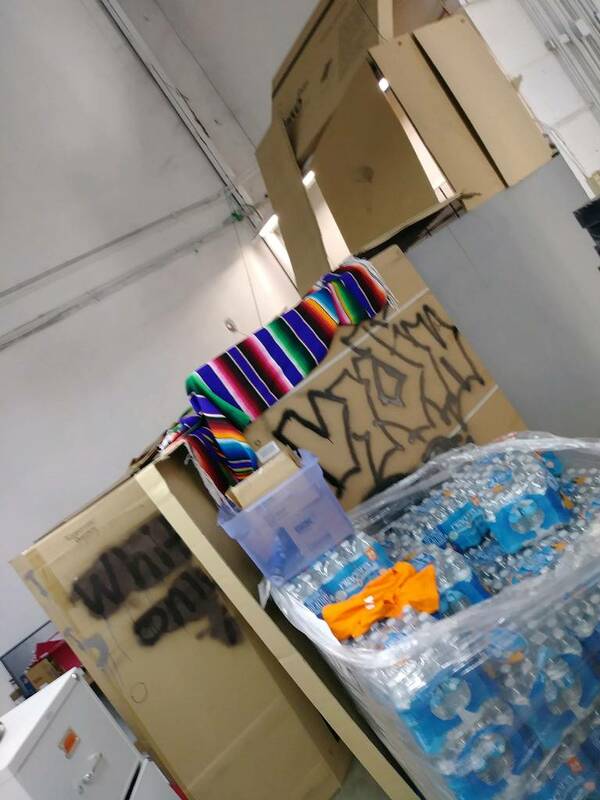 She and a friend, who is Asian American, were headed on an extended camping trip and were stocking up. They spent quite a bit of time wandering the aisles looking for the right food and condiments., and in Clarke’s case, apparently a little too long looking for a vegan spread. They are often naturally charming. Well liked by nearly everyone in the family. As a child they made you laugh. As you grew older, you laughed however the jokes made you uncomfortable. You weren’t the only one. Family members saying while laughing ” Ohh you shouldn’t say that” or “That’s wrong” in mid laughter. Over time this charming individual has made you uncomfortable when non family members are present. Your on the edge, as you wait in terror, for the off color or racist remark to be delivered in front of the unsuspecting visitor. Your options are few. Confrontation or exit. Ideally, you should wait for to talk, away from family. Calmly tell him or her what you find offensive and why. Once you’ve done this leave it. Don’t go back and revisit the conversation, it only brings animosity. These individuals exists in every family. They’ve may have gone unnoticed for years. Until you view the family member through the eyes of a non family member. They are others, who simply don’t care how their words affect others. “This is who I am, take me or leave me! ” When this occurs, I quietly leave. No drama, no words are needed. We love our families, we must except them for who they are warts and all., attempting to change who they are is like bumping are heads on a brick wall. However, we can make adjustments and at the end of the day, its not about their feelings and how others my react to our leaving. This is when it’s on us to make the adjustment as we teach people how to treat us. The temperature a sudden change in the air. Anger and hostility at some the hotels with guest attacking staff and guest fighting with other guests. In some parts of the country, Latino’s notably Mexicans workers is the cornerstone of many hotels, running the front and back offices. In the last few years,workers with an accent have been verbally and physically attacked simply because they have accent. At a southern California, a quest slapped a housekeeper for responding to another housekeeper in Spanish. A guest refused to check into a hotel and demanded their reservation cancelled without penalty because the front desk agent was Muslim. Some guest refuse to interact with employees who have accents, often demand that an “American’ complete their transaction. Some guest have complained about two or more employees speaking to each other in another language. Demanding they only speak English. There were racist guest before Donald Trump. Since his election many hotels have seen a major spike in racist behavior with guest verbally and physically attacking hotel staff, with most of the rage towards Latinos. Cable News: one show is too right (Fox) the other one is too left (Msnbc) and one is kinda alright (CNN) In a perfect world the hotel would have three televisions. When there is one Television in the dining area, the safe choice is center. A guest wrote a complaint letter to the hotel chains customer service department. In the letter he said, he couldn’t believe that hotel chain would have CNN on the television a network known for its fake news. He was so disturbed, he could barely eat his breakfast and will never stay at that hotel again! In Sacramento, a guest demanded the channel to be changed to Fox News. He says he spends thousands with the hotel and he wants to watch Fox. and when the worker said she didn’t have the remote. He threw his plate into the television screen and stormed off screaming. He later, told the manager the worker’s attitude made him do it.! An argument over one of Trumps polices, turned into a brawl including one 71 year old grandmother, police were called. No one can recall the animosity exhibited today hotels/motels today. . Guest fighting ,arguing, during the breakfast hour has left some supervisors with no other option than to simply turn the television off.